Squaw Valley is our Thursday runner when he travels to Ballarat. Squaw Valley runs in race eight, the Benchmark 64 Handicap over 1100m with Patrick Moloney riding and drawn barrier two. The three-year-old son of Zoffany scored on debut at Pakenham in March before finishing sixth last start over 1100m at Pakenham. Mike Moroney has made a gear change for today’s race. “We’ve put blinkers on him for the first time and we are hoping he will jump away and be able to use the good barrier,” Moroney said. 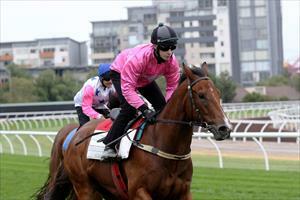 “He did this in them at his last jumpout before sitting outside the leader and showing good speed. “If he can do that and put himself in the race then this looks a nice chance for him to win again. “He’s trained on well since his last start at Bendigo, he looks terrific and with ordinary luck in running I’m expecting him to be hard to beat.